We’re open from 10am till late all week so you can drop by any time. 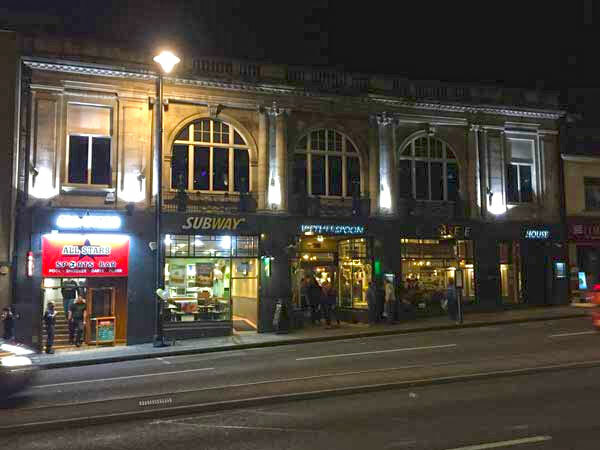 We have fantastic facilities and serve hot and cold food at great prices. Families are more than welcome! 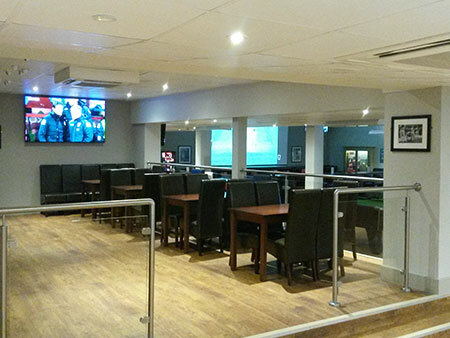 Here at Allstars, Bristol we have the facilities to show up to 9 events at any given time in HD and often in mind blowing 4K. 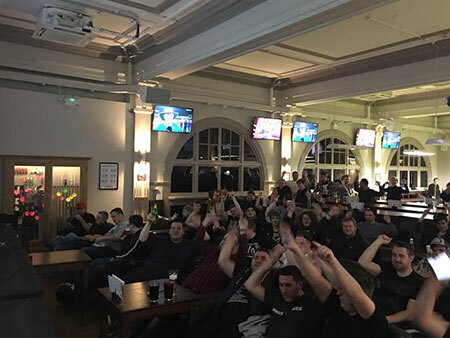 We have 3 large projected HD screens including 2 huge five metre screens as well as over 70+ large screen wall-mounted LCD sets that you can request your choice of broadcast on. 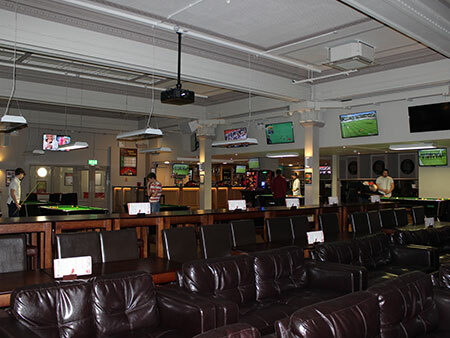 We also have ESPN HD, BT HD and Sky HD across all of our large HDTVs and HD projected screens. To supplement those we also have access to many European channels, showing games from across the continent and the world as well as home matches. Some of these show games and sports that you just won’t find on a normal home Satellite box. Don’t think you have to watch what everyone else is watching. 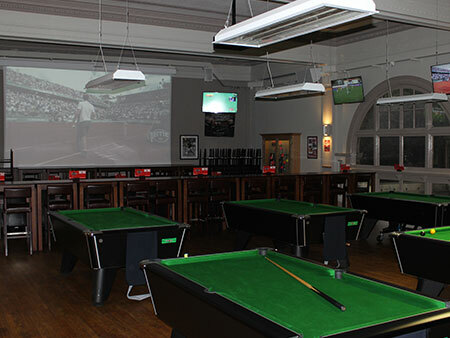 If you’re playing at any of our 18 tables you can request the channel of your choice on your nearest set. Want to watch live Formula One? No problem. Football? You tell us which match and we’ll hook your set up. • Table Football ? x 2? 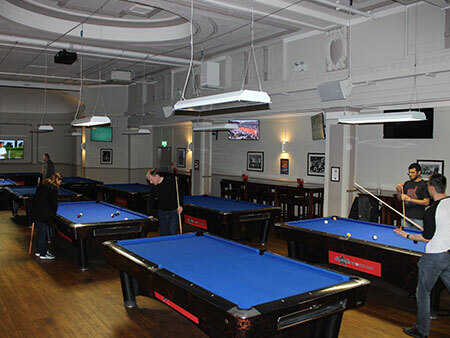 ?4 full size Snooker tables, 12 Supreme Winner English Pool tables and ?12 American Pool tables. 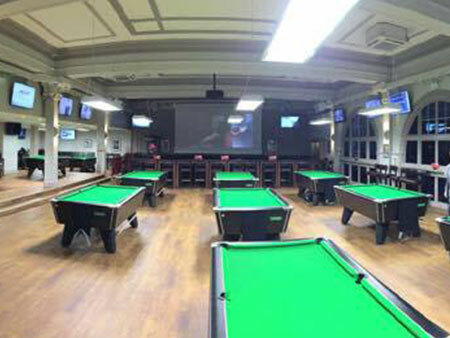 Every table uses state of the art 450watt Luminaire low profile lights for unrivalled lighting quality. 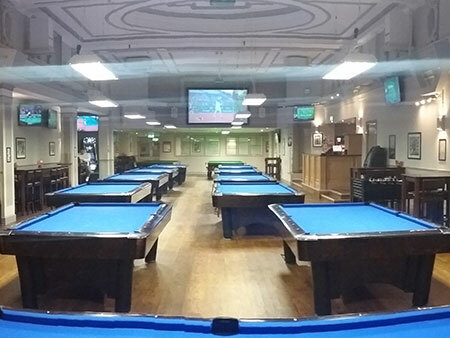 Tables available at an hourly rate or if you just want a few quick frames of english pool then one of our two coin-operated English Pool tables may be just what you need, just make sure you don’t pot the 8 ball on the break!? 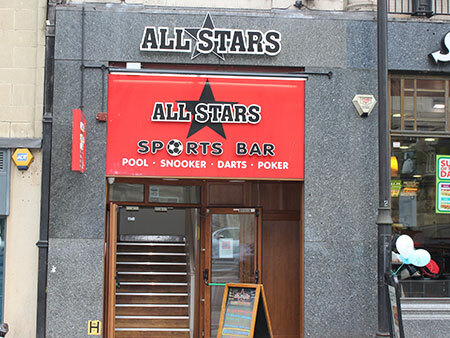 Allstars Bristol has a great range of cues and accessories available. 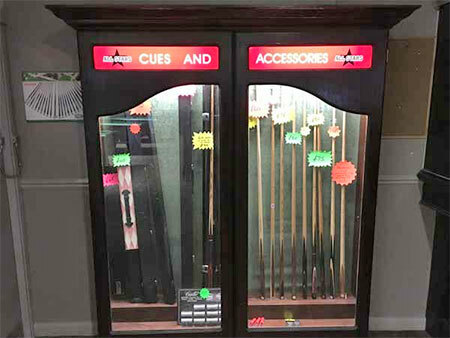 If you’re looking for a new cue, where better as you can try before you buy? Just ask a member of the Allstars team for assistance. 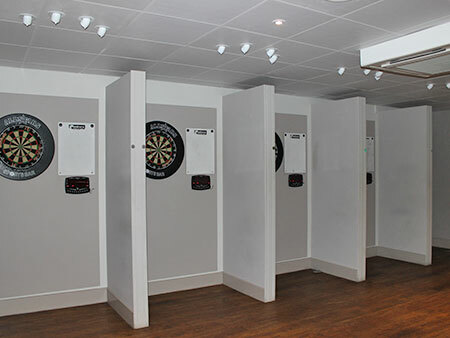 Every Allstars venue has amusements to keep you entertained. 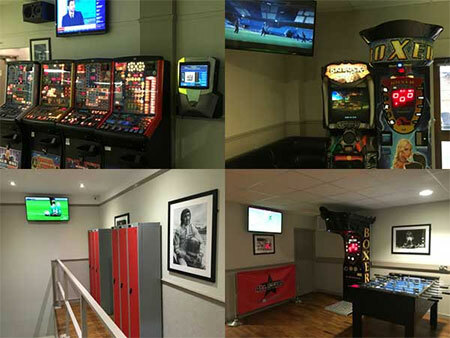 Including Bar Football, Boxing Machines, Fruit Machines and Amusement only Machines. For our regulars, Cue Lockers are available for hire.